Life teaches us to make good use of our time and time teaches us the value of life. Time is very slow for those who want, very fast for those who are scared, very long for those who are sad and very short for those who celebrate. But for those who love, time is eternal. Sometimes we receive love from the most unexpected and unlikely places. Often we give love to certain people and that loves comes back to us even if not through those same people. Sometimes in our life we receive love through people but those aren’t necessarily the people we give back love to. Some people come into our life for a season. But that season has to move on. That season has a next phase. That season has an end point. In life, people come and go. If forever doesn’t exist, value now, value the present. Some people come into life for a reason. To help you learn, to help you grow, to help you support through your most difficult times. When they had every reason to not be there, when they could have used any excuse to not be in your life they chose to be right next to you. They may be there to help you physically, emotionally spiritually. They’ve almost feel like they’ve been sent. And then you have friends that are there for a lifetime. These were the people that you often forgot. These were the people that you often missed. Often we feel we care more about people than care for us. another shot from my MCM’s experience! St. Patrick’s Day in Tokyo is celebrated every year in two parts. The first part is an Irish cultural festival at Yoyogi Park—the official site outlines the day as including: traditional musical and dance performances, Irish sports (hurling, perhaps? ), and an Irish gourmet booth where you can try Irish stout, stew and steamed oysters. 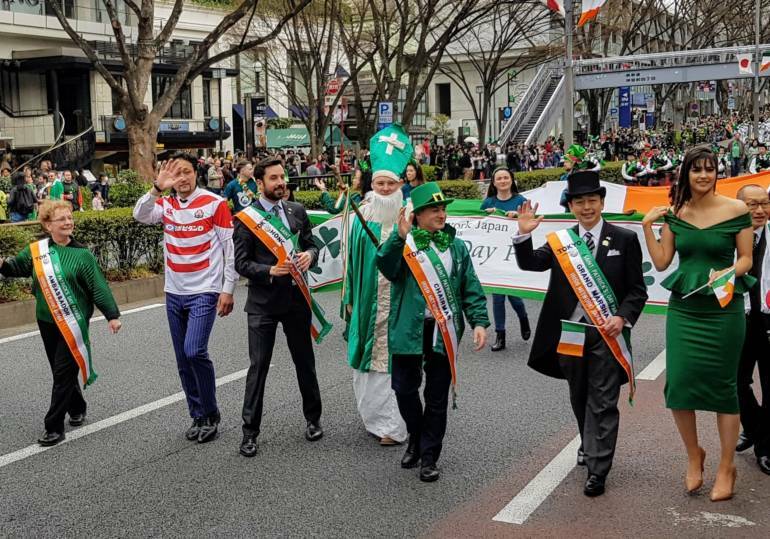 The second part, the annual St.Patrick’s Day Parade, takes place Sunday along Omotesando Street and starts at 1:00pm. Usually the parade comes down the hill from Omotesando towards Meijijingu-mae Station on the Gyre/Dior Building side of the road and then does a U-turn at the Omotesando/Meiji Dori intersection before heading back up the Omotesando Hills side of the same street.